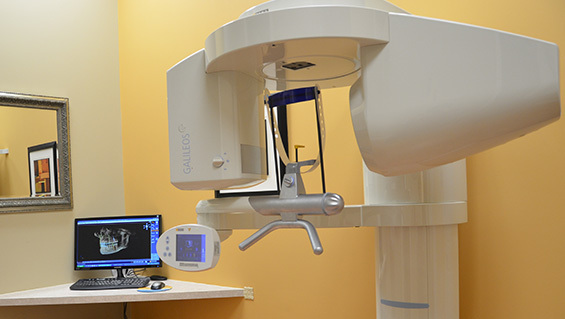 Dental x-rays are pictures taken of your teeth which help diagnose any issues in the patient’s mouth so they can be fixed before the problem gets any bigger. Teeth are very dense so a x-ray helps get a image of the bone in the teeth which helps dentists identify any issues that need to be attended to. The two different kinds of x-rays are internal and external. A intra oral x-ray is taken inside your mouth while an external x-ray is taken outside of your mouth. X-rays will help your dentist to be able to find any cavities, check for any oral diseases, the status of developing teeth, the root of teeth, and overall monitoring all of your teeth to assure that everything is in good condition. How Often Should I get an X-Ray Done? This depends on your age, oral health, risk for disease, or any symptoms you may have. 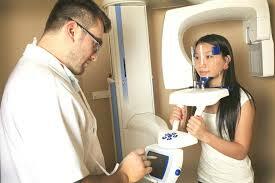 If you feel any pain or discomfort in your mouth a x-ray should be taken. If you go to a new dentist they will most likely take x-rays so they become familiar with your teeth and can make sure your teeth are in good shape. What is the Procedure of Getting an X-Ray Done? When you arrive, they are going to put an apron on you which is made of lead. This is so your body is protected from radiation. Next, you will have a thick piece of plastic put into your mouth to bite down on. The dentist will then proceed to take the pictures. This process will be repeated throughout different spots in your mouth. There are various types of intraoral x rays which include bitewing, periapical and occlusal. Bitewing x-rays focus on the upper and lower molars. 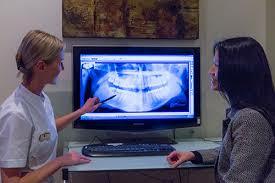 Periapical x-rays take photos of the left side of your mouth. Bitewing x-rays and Occlusal x-rays are larger than other x-rays. These show the full arch of teeth in both the upper and lower jaw. Check out the other services we offer!